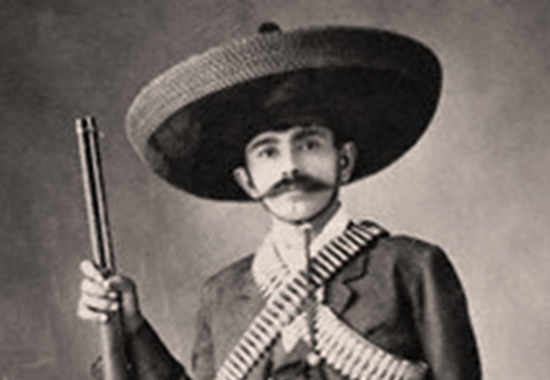 Eufemio Zapata was a revolutionary in the Mexican Revolution of 1910. 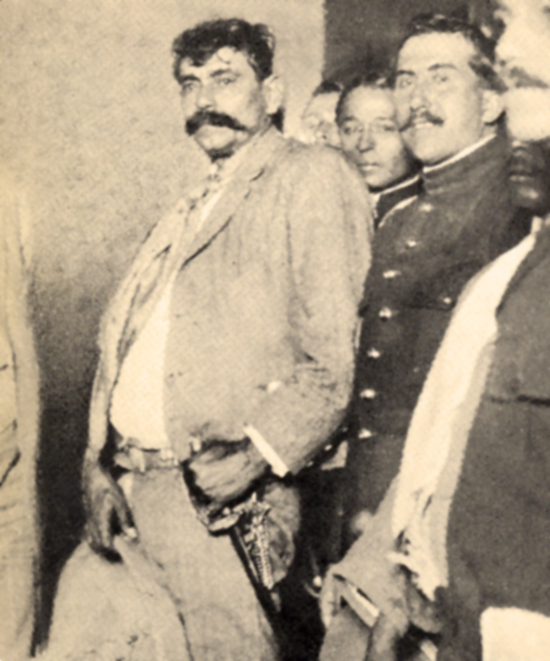 Eufemio carried the rank of general in Emiliano Zapata's army, the Liberation Army of the South, or Ejército Libertador del Sur. Eufemio was one of the signatories of the Plan of Ayala. With his other hand the man is holding on to his sombrero. 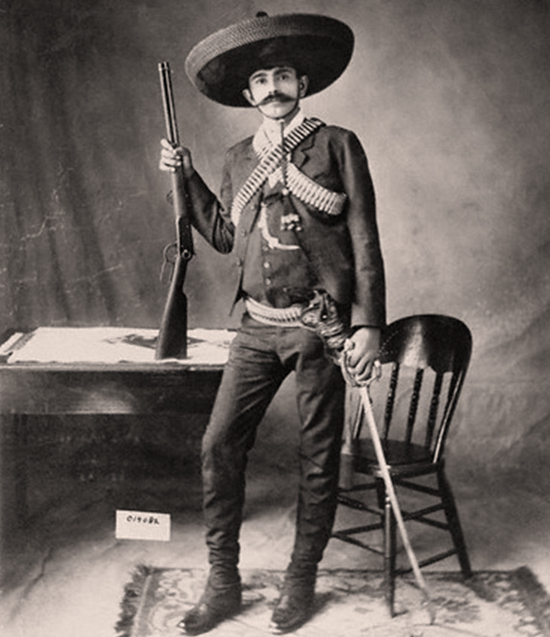 Eufemio's father was Gabriel Zapata. Eufemio's mother was Cleofas Salazar. 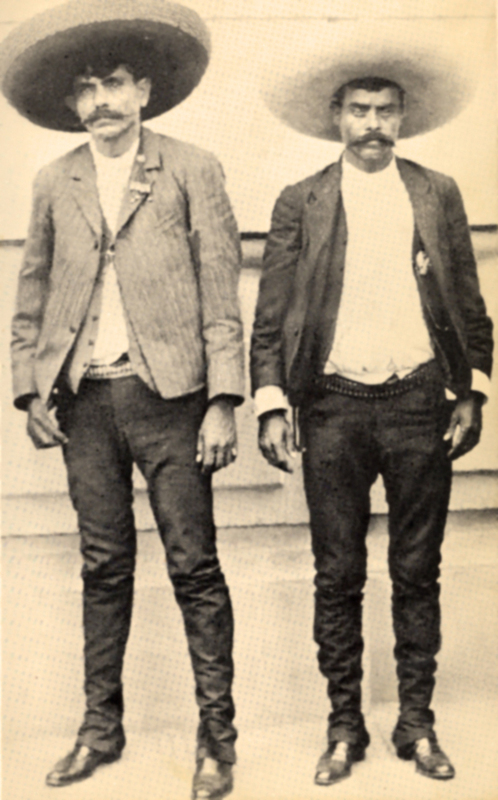 Emiliano Zapata is the mounted figure in black with crossed hat. 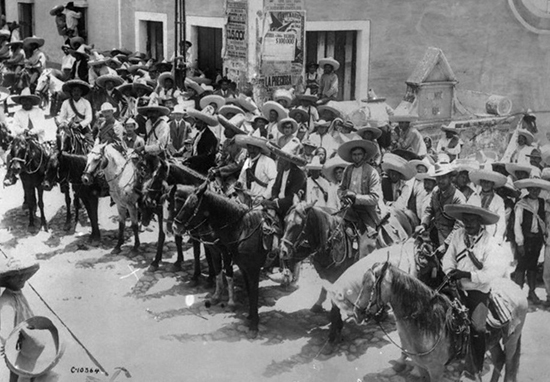 Eufemio Zapata is the mounted figure in white with crossed hat. Eufemio Zapata's remains are buried in Anenecuilco, Morelos.